Bossier Parish Community College is expected to receive an injection of funds this legislative session, a bump which would improve its paltry state funding to tie for the lowest in Louisiana. “We can’t penalize them for their growth, we have to promote what they’re doing to help job training. WIthout that money, they would certainly be in a hurt. That’s the least we can do,” said State Representative Henry Burns-R, Haughton. Higher education in Louisiana is funded by a formula that is driven by enrollment, graduation productivity, and responsiveness to regional economy. While BPCC would seem to tick all of those boxes, there are some inherent issues that limit the amount of funding the college should receive. “BPCC has set a very high bar but unfortunately, there’s mechanisms that prohibit the funding BPCC is due,” noted Henderson. BPCC is funded at 39 percent of what formula says they should be funded. To address this gap, $6.1 million has been proposed, $3.4 million of which BPCC would garner. To put this in a stark light, that funding increase would then bump BPCC’s funding to 47 percent — equal with the lowest-funded college in the state. “That’s funding for students, not an institution. Even that amount of money will allow us to continue to grow and meet the needs of the employers in this community,” said Henderson. 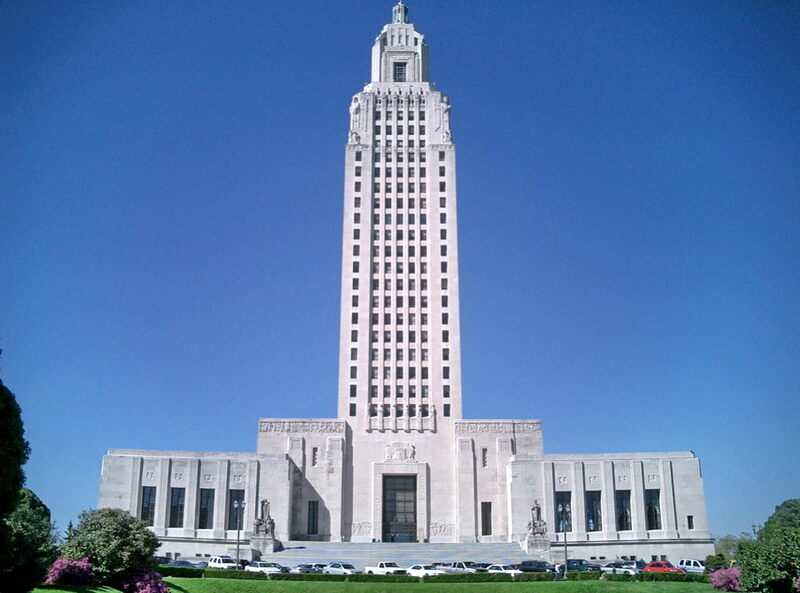 “I have personally spoken to the Chairman of Appropriations and additional members of the committee, the Speaker of the House, and the Governor on the importance of this funding and of the tremendous job being done by BPCC,” said State Representative Jeff Thompson, R-Bossier City. “What a blessing BPCC has been and how they’ve responded to needs of workforce requirements of new, existing, and expanding companies. Anyone who has had a need for training, they’ve gone out of their way to develop a course to offer that,” added Burns. Thompson has previously told the Press-Tribune he was ready to do battle to improve BPCC’s state funding share. Even with the state’s streamlined, threadbare budget, the chancellor believes that funding will remain in place for the college instead of being moved to plug a gap elsewhere. “Someone who’s not familiar with the entirety of the story, they might have that notion for financial responsibility. But when you explain the merits behind that funding, nobody of a reasonable nature would take that money and put it elsewhere,” said Henderson. However, Thompson is less optimistic, saying he is “absolutely” worried someone will try to move that $3-plus million to plug a gap elsewhere. “Being in the budget is not the same as being in hand,” he said. “You always worry about it, but workforce development is a key component of the governor’s agenda, legislators know the key to economic recovery is developing that workforce and we’ve never before been a more business friendly state,” said Burns. Jindal has proposed the Workforce and Innovation for a Stronger Economy (WISE) fund, which would distribute $40 million to colleges and universities to develop professionals or skilled workers the business community says companies need out of the Louisiana workforce. “The WISE plan incentives colleges to work with employers to produce graduates for those jobs necessary to realize full potential of economic development in Louisiana,” explained Henderson. He is optimistic that BPCC could tap into this funding source with their growth and development of programs that fit the needs sought by the WISE fund. “Colleges and universities that can deliver on a plan like WISE have grown and BPCC is at the top. We’ve grown our student base and the programs to deliver on these types of jobs,” Henderson said. Thompson expects the WISE fund to be approved this session, although he explained all that has been done is create the fund, not actually put anything into it. “So far, all that has been done is create the ‘fund,’ which is the equivalent of building a piggy bank. Now we have to put dollars in it and defend it through the process. We are up to the challenge,” he said. “The 2014 March sales and state revenues increased over last year and hopefully those revenues will continue to increase and the money will be there. We will move to put $40 million in there, but there could only be $10 million in there the first year,” Burns explained.